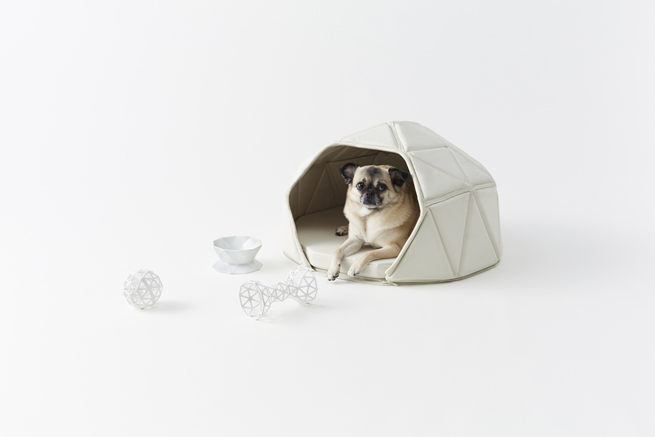 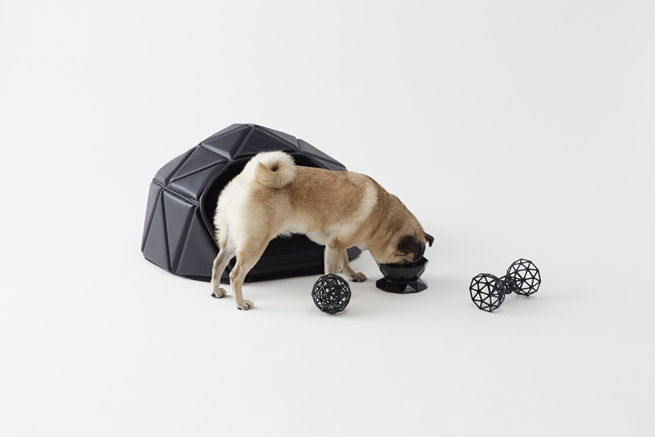 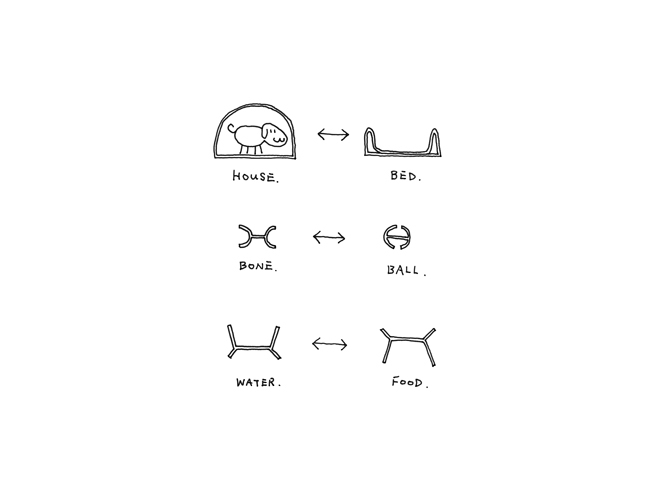 A three-piece dog accessory collection, consisting of a dog bed, dishes and toys. 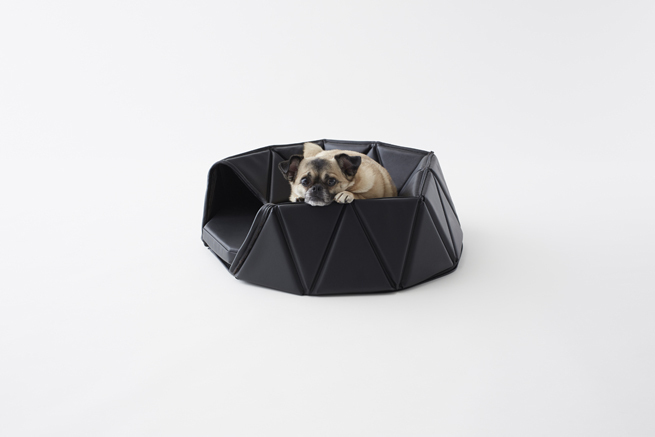 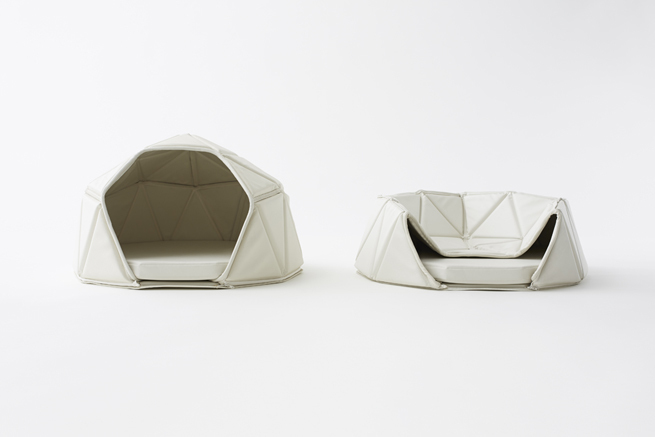 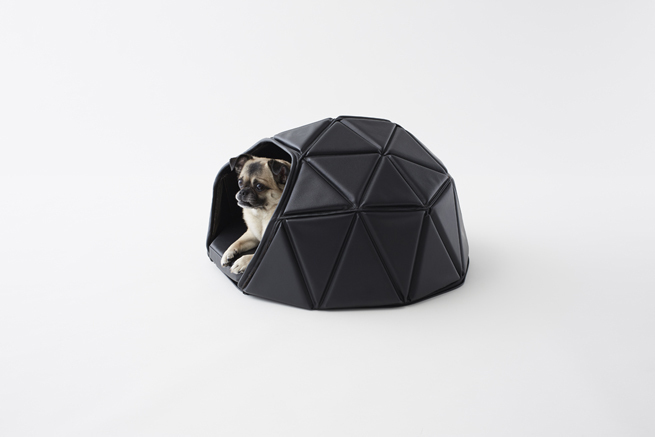 The artificial leather bed becomes a little hut when dogs burrow inside it, and a cushion when they lie on top. 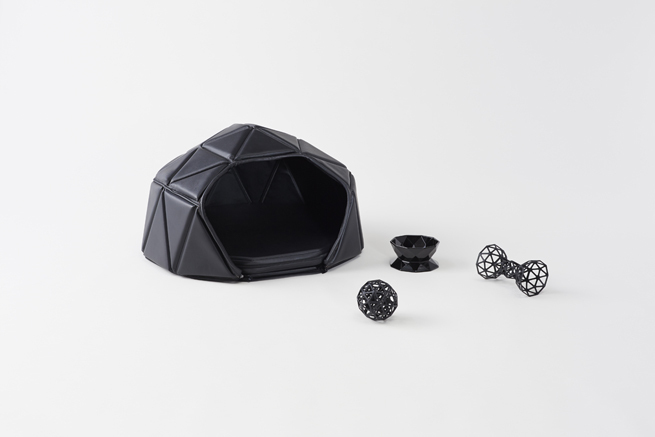 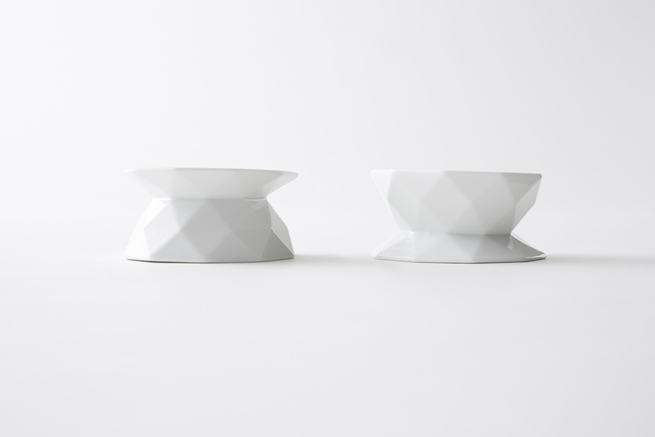 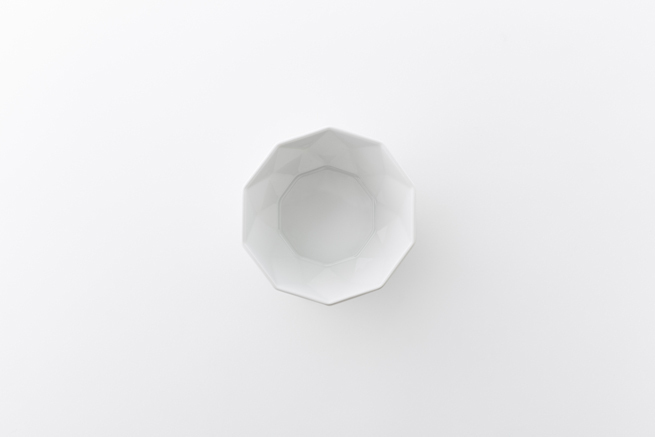 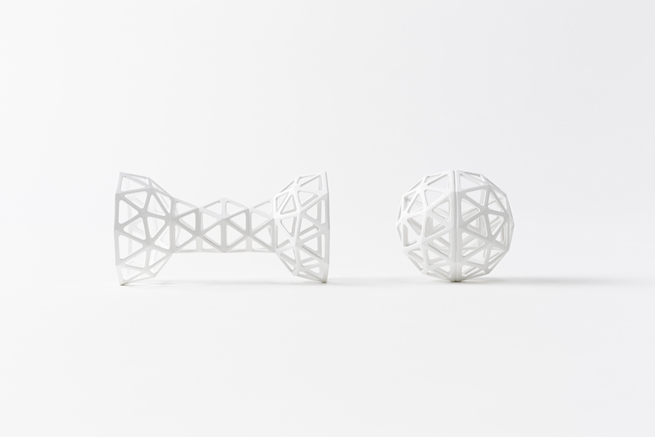 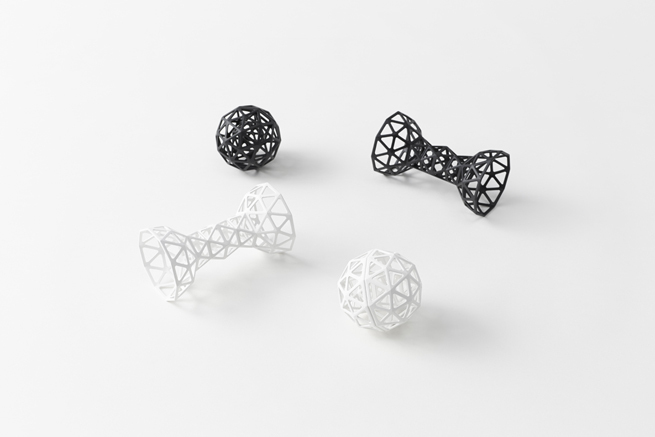 The ceramic dishes are reversible, with a shallow dish for food on one side and a deeper dish for water on the other, and the silicon rubber ‘bone’ can be reshaped into a ball by tucking in the two ends. 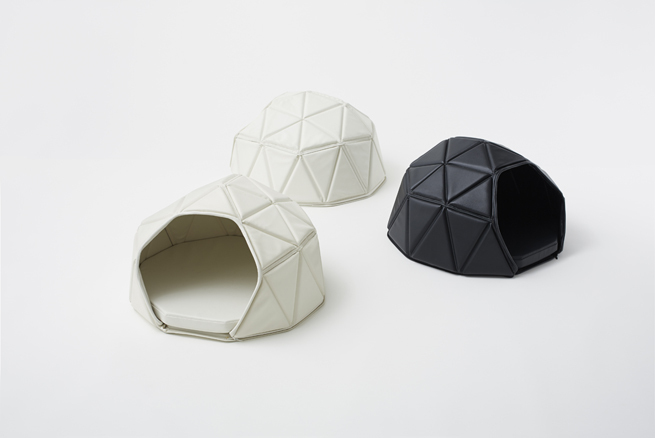 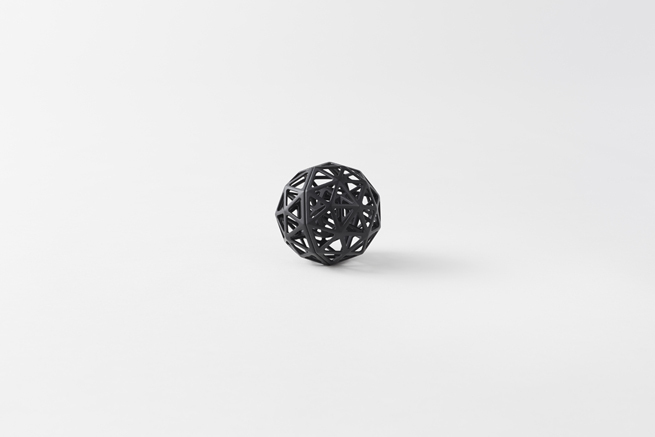 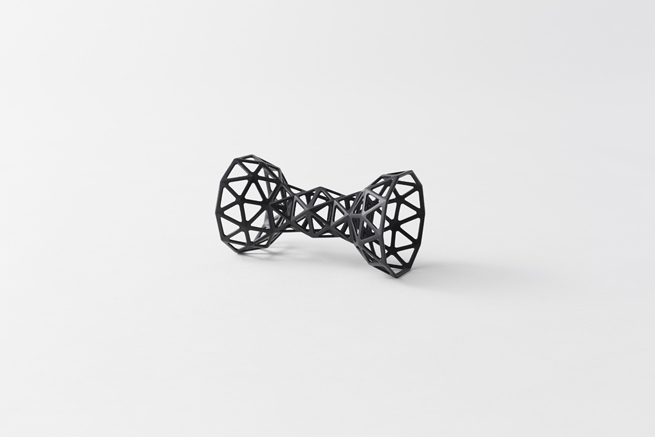 As a result of looking for a form that could be stable in two different shapes, the collection is constructed of triangular panels connected in polygon mesh. It comes in two colours – white and black – to harmonise with home interiors.